All artists working in any media are welcome to apply to exhibit and sell their work at Blue House Too! Exhibits are scheduled 3-6 months in advance, and typically last about 4-6 weeks. 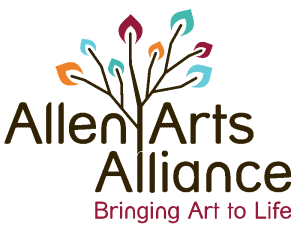 The applications are reviewed by the Allen Arts Alliance as they come in, and a notice sent out as soon as a decision is made. Accepted artists are responsible for delivery and pick-up of artwork, including shipping costs. Blue House Too is 2.736 square feet with 162 feet of hanging space. Please note that fields marked with a ‘*’ are mandatory. DO NOT CLOSE THIS WINDOW UNTIL YOU HAVE RECEIVED A MESSAGE SAYING THAT YOUR INFORMATION HAS BEEN SENT! IF YOU HAVE LARGE FILES THIS PROCESS MAY TAKE A FEW MINUTES!